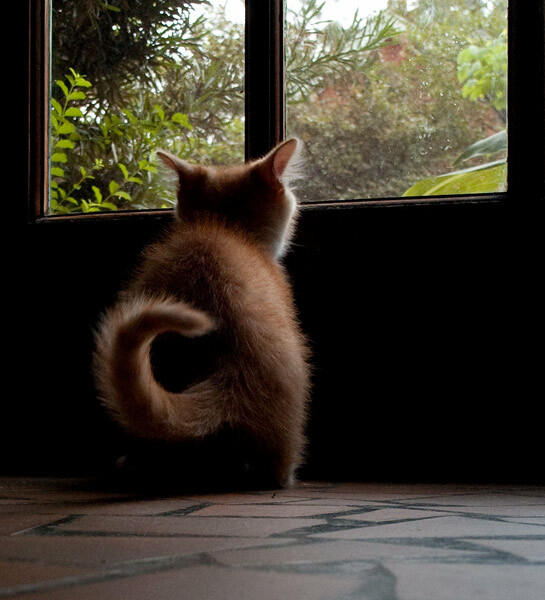 OK, What's the deal? 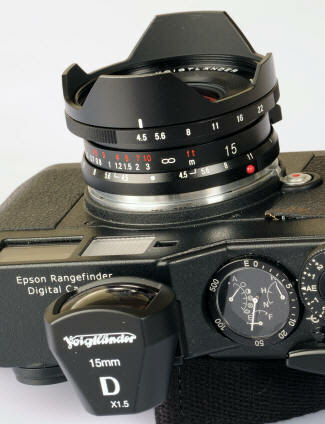 Voigtlander's original 15/4.5 lens from 1999 established the Cosina-Voigtlander franchise and is still a best seller. Why gild the lily? 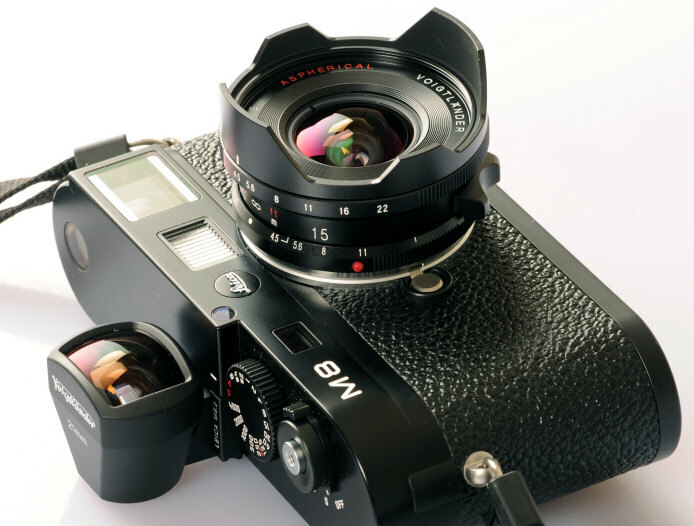 Because Mr. Kobayashi and Voigtlander always aim to improve their products. I got the new 15mm rangefinder lens and got a chance to try it out yesterday. 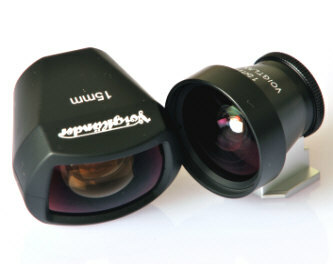 What a fantastic lens! Tack sharp right to the corner fully open. No distortion. I fitted a 52mm IR rejection (I use an M8), coded the lens as a WATE, and the camera recognized it as such and corrected falloff and cyan shift in the corners extremely well. 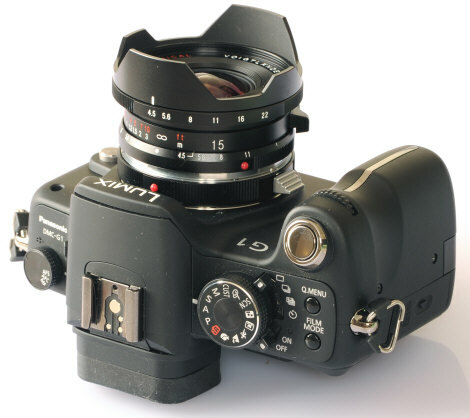 The lens brings up the correct 28/90 lines for the M8, same as the Leica 16-18-21 WATE, so no problem coding it. 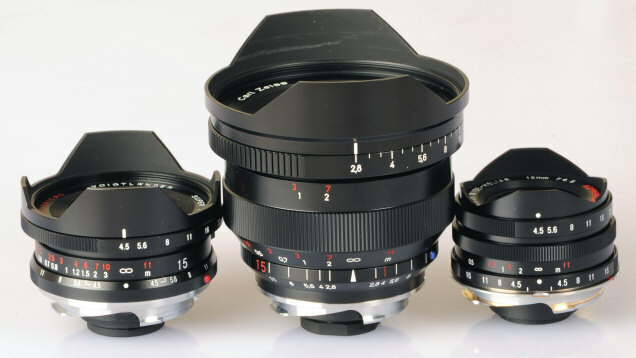 2010 Update: New improved Metal Version II 12mm $349, 15mm $209 and 21/25mm $209 viewfinders were introduced. 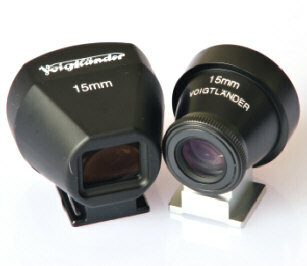 Side by Side: The Version I and Version II Voigtlander 15mm Viewfinders, $149 and $209. 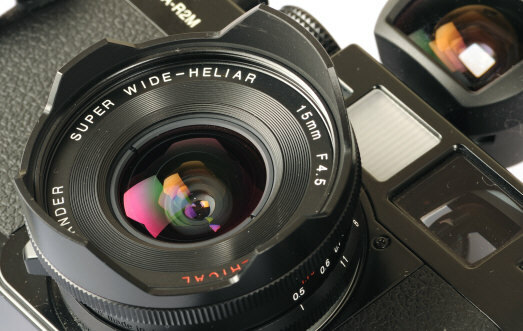 Imagine: A sharp 15mm M lens for less than the price of a used car! Copyright © 2009 Sonny Carter All rights reserved. Revised: September 11, 2017. Copyright © 2009-10 Stephen Gandy. All rights reserved. This means you may NOT copy and re-use the text or the pictures in ANY other internet or printed publication of ANY kind. Information in this document is subject to change without notice. Other products and companies referred to herein are trademarks or registered trademarks of their respective companies or mark holders.